Ramble: 1.5-volt lithium polymer AA battery? What sorcery is this? Been a while since I’ve posted anything on here, but I decided to share my thoughts on a peculiar AA battery. 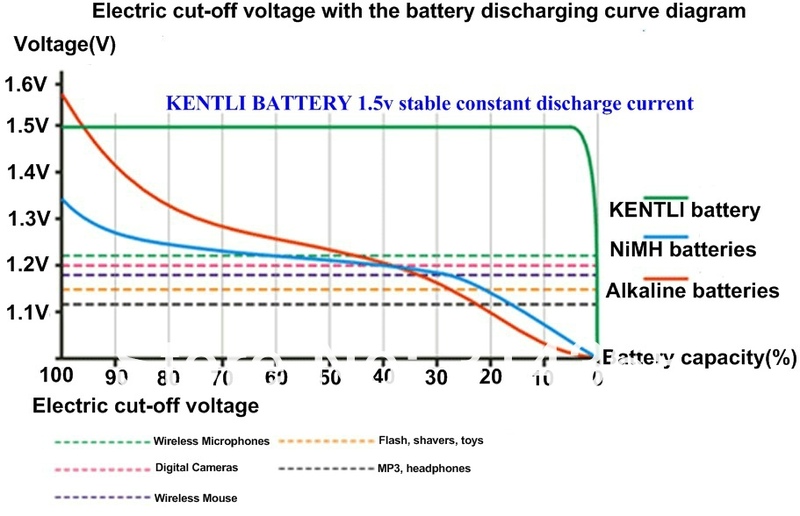 This AA battery is the Kentli lithium-polymer AA cell. It has a built-in 1.5 volt regulator that converts the typical 3.7 volts down to 1.5 volts (open-circuit at least). I bought a 4-pack of these cells from AliExpress back in October, but have yet to receive them. Even though I haven’t gotten them, there is some things that I’ve taken note of. The interesting thing I found out was the green dashed line. This is supposed to represent the output voltage when used in a wireless microphone. However, the graph itself provides no meaningful data because no current loads are specified at all. In an attempt to get some sort of information from the graph, a Google search for a spec sheet for a typical microphone gives a discharge current of 125 mA. But a 0.3 volt drop at 125 mA? I dunno, this doesn’t seem right. From a safety point of view, I’m not sure about how much temperature would rise in the cell from high current draw and whether overheating could occur in use, and if any typical Li-Ion protection circuitry is used (voltage and discharge protection). Given how this is made by some relatively unknown Chinese company, who knows. I’m not saying anything definite until I see these cells and have a chance to get my paws on them for testing and disassembly. Until then, we’ll just have to wait.